Pasadena, CA, January 8, 2016 – WGN America’s highly anticipated scripted dramas “Outsiders,” premiering Tuesday, January 26 (9:00 pm ET/PT) and “Underground,” premiering Wednesday, March 9 (10:00 p.m. ET/PT), will air commercial free on their respective premiere nights, it was announced today. Additionally, beginning January 16, WGN America will be available on Cablevision in New York, expanding the network’s distribution to more than 80 million homes on every major cable system. The announcement was made by Matt Cherniss, President and General Manager, WGN America and Tribune Studios, at the cable network’s presentation to members of the Television Critics Association. 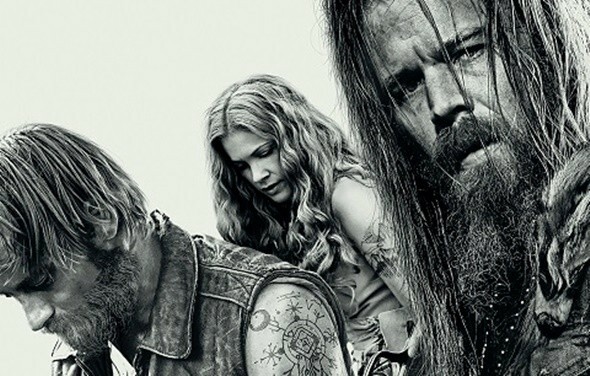 Created by Peter Mattei and executive produced by Peter Tolan and Paul Giamatti, WGN America’s “Outsiders” is a tale of struggle for power and control set in the rugged hills of Appalachia. The 13-episode, one-hour drama explores the epic battle between the Farrell Clan, a tight-knit family of renegades who have lived atop Shay Mountain for over two-hundred years, and their fight to defend their land and their way of life from the town below and anyone who would dare challenge them. The ensemble cast includes David Morse (“Treme,” “Hurt Locker”), Thomas M. Wright (“The Bridge,” “Top of the Lake”), Ryan Hurst (“Sons of Anarchy,” “Bates Motel”), Joe Anderson (“The Divide,” “Across the Universe”), Gillian Alexy (“The Americans,” “Damages”), Kyle Gallner (“American Sniper,” “Veronica Mars”) and Christina Jackson (“Boardwalk Empire,” “Deception”). Set in a desperate and dangerous time, WGN America’s Underground Railroad escape thriller, “Underground,” from executive producer and Academy Award(R)-winner John Legend and creators and executive producers Misha Green and Joe Pokaski, tells the story of revolutionaries of the Underground Railroad who use their ingenuity, power and perseverance to attempt the greatest escape in history despite the dire consequences that awaited them on the other side. The ensemble cast for “Underground” includes: Jurnee Smollett-Bell (“True Blood,” “Friday Night Lights”), Aldis Hodge (“Straight Outta Compton”), Christopher Meloni (“Sin City: A Dame to Kill For”), Alano Miller (“Jane The Virgin”), Jessica de Gouw (“Arrow,” “Dracula”), Marc Blucas (“Buffy the Vampire Slayer”), Adina Porter (“The 100”), Mykelti Williamson (“Justified,” “24”), Amirah Vann (“Girls,” “And So It Goes”), Johnny Ray Gill (“Rectify”), Chris Chalk (“Gotham”), Reed Diamond (“Agents of S.H.I.E.L.D.”), Theodus Crane (“The Walking Dead”), Renwick Scott (“Treme”); and Jussie Smollett (“Empire”) who guest stars, marking the first time in 20 years he and his sister will appear in the same series. In addition to Legend’s role as executive producer, the Grammy(R) and Academy Award(R) winner oversees “Underground’s” bold musical score, one that connects the past to the present and embodies the raw energy of the series. Legend also collaborated with “Underground” series creators Green and Pokaski, and composers Laura Karpman, a multi-Emmy Award winner and Raphael Saadiq, a celebrated singer/songwriter and producer. The main title theme “Heaven’s Door” is produced by John Legend, written by Angelique Cinelu and Curtis Richardson and performed by Alice Smith. “Underground” is created by Misha Green (“Sons Of Anarchy,” “Heroes”) and Joe Pokaski (“Daredevil,” “Heroes,”) who executive produce alongside Academy Award-winner Akiva Goldsman (“A Beautiful Mind,” “I Am Legend”) of Weed Road Pictures; and Joby Harold (“King Arthur,” “Edge of Tomorrow”) and Tory Tunnell (“King Arthur,” “Holy Rollers”) of Safehouse Pictures. Visionary artist and producer John Legend, an Academy Award, Golden Globe and multi-Grammy Award winner, and his Get Lifted partners Mike Jackson and Ty Stiklorius executive produce. Additionally, Get Lifted oversees all elements of the show’s music. Anthony Hemingway (“The Wire,” “Treme”) directs and serves as executive producer for the first four episodes. “Outsiders,” is created and written by award-winning playwright Peter Mattei, who executive produces alongside Fedora Entertainment’s Emmy(R) Award-winner Peter Tolan (“Rescue Me,” “Analyze This”) and Michael Wimer (“2012,” “Rake”), and Touchy Feely Films’ Emmy(R) Award-winner Paul Giamatti (“John Adams,” “Sideways”) and Dan Carey (“All Is Bright”). WGN America’s “Outsiders” and “Underground” are produced by Sony Pictures Television and Tribune Studios. How do you like the sound of the Underground and Outsiders TV series? Will you check out their ad-free premieres? Let us know. who does the theme for the outsiders and by what artist? Drunkards Prayer but I can’t remember who sings it. Is it possible to post the name of the musical scores and the groups creating the music for each episode? Some creative sounds going on here! I episode 3 where did the plusing music come from about a 3rd of the way in. I think it is just after the see the guys clearing the road. It is a very greating beat from some sort of synthsiser. Can anyone tell me the name of the song and performer of the song being played at the Farrell party in episode one? One of the coolest tunes ever! The band is Ben Miller Band. they are from Joplin Missouri. Morgan also said the song will be available on iTunes soon. Theme song is called “takers creed” Morgan o’kane wrote it exclusively for Outsiders. Check him out on YouTube. I would like to know who does the theme song for outsiders and is it available anywhere…I love the show so far…. Its been a year and I havent been able to find out the name of this band, does anyone know by now?